Esperance is a town in the Goldfields-Esperance region of Western Australia, on the Southern Ocean coastline approximately 720km east-southeast of the state capital, Perth. Esperance is home to 9,919 people (2011 census). Its major industries are tourism, agriculture, and fishing. The Shire of Esperance is home to 13,477 people.HistoryEuropean history of the region dates back to 1627 when the Dutch vessel Gulden Zeepaert, skippered by François Thijssen, passed through waters off the Esperance coast and continuing across the Great Australian Bight.French explorers are credited with making the first landfall near the present day town, naming it and other local landmarks whilst sheltering from a storm in this area in 1792. The town itself was named after a French ship, the Espérance, commanded by Jean-Michel Huon de Kermadec. Espérance, is French for 'hope'.In 1802, British navigator Matthew Flinders sailed the Bay of Isles, discovering and naming places such as Lucky Bay and Thistle Cove. Whalers, sealers and pirates followed, as did pastoralists and miners, keen to exploit the free land and cash in on the gold boom in the gold fields to the north. Esperance is in Western Australia. 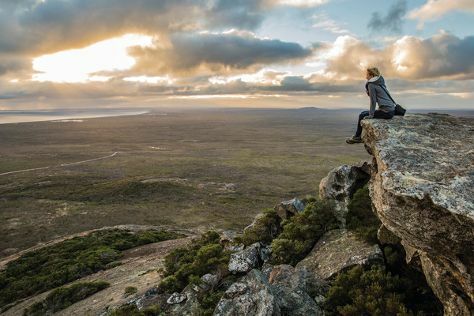 Add Esperance and other destinations to your itinerary using our Australia trip planner, and learn about what to see, what to do, and where to stay.